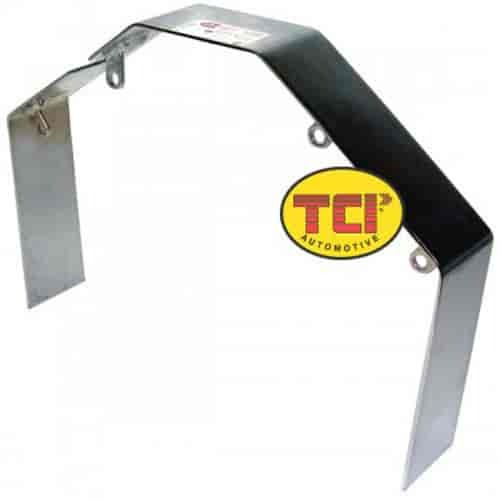 TCI SFI 30.1 certified Flexplate Safety Shields are made from high-strength steel and designed to protect drivers and spectators from flexplate or starter ring gear failure. Flexplate safety shields are mandatory in many types and classes of racing. Fits over the front section of the transmission bellhousing. Note: Trimming transmission may be required. Any modification to shield voids SFI certification.